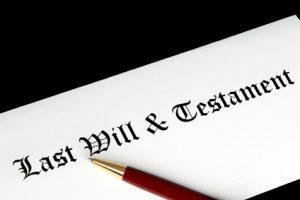 A Will is one of the most important legal documents that you will ever make. At Martin Gaffney Solicitors we like to meet with our clients and discuss their various options. If you have no Will and then you die then the law (and not you) dictates where your estate or financial assets and property goes. This can lead to serious problems as your friends, relatives or favourite charities may not get anything. We recommend that everyone should have a Will in place. In addition you should check your Will regularly to ensure that it is up to date. If your circumstances change, for example, if you start to cohabit, get married, enter into a civil partnership, have children, divorce, separate, dissolve a civil partnership, move house or begin to worry about nursing home fees then at Martin Gaffney Solicitors we can help you. Call Brian Henderson on 0113 282 7988 for an appointment or a home or hospital visit.